Posted on September 23, 2009. 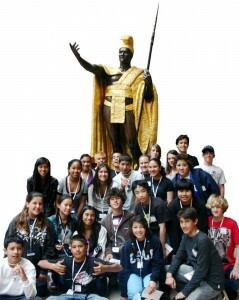 Tags: waimea middle school, washington d.c.
8th GRADE EAST COAST TRIP BRINGS HISTORY TO 'LIFE': Last year's 2009 Waimea Middle School's 8th Grade East Coast Trippers are picgtured with Hawai'i's spectacular bronze and gold Kamehameha The Great statue, which at the time had only recently been relocated to a more appropriate site near the new Capitol Visitor Center in Washington, D.C.
Tickets for delicious upcountry ranch style grilled steak plate lunches are being sold by Waimea Middle School students and families as part of an ongoing series of fundraisers to enable about two dozen 8th Graders to become “ambassadors” representing this community in Washington, D.C., New York City and Philadelphia in May 2010. This will be the sixth year that WMS 8th Graders have had the opportunity to experience the American History they have studied in text books coming to life in such historic places as the halls of Congress, Constitution Hall, the Jefferson Memorial and Statue of Liberty. Each of the five previous East Coast trips have been made possible by similar student and family fundraisers and community donations. The steak fry itself will be from 10 a.m. to 2 p.m., Sat., Oct. 3, 2009. Presale tickets are $8 and will include a grilled 8 oz. steak, rice, potato-macaroni salad, corn-on-the-cob and a brownie. Also available that day will be an assortment of freshly baked sweet treats. In addition to fundraising, student participants are held to high academic and behavior standards to earn the privilege of making this educational trip to connect classroom lessons to the real world. 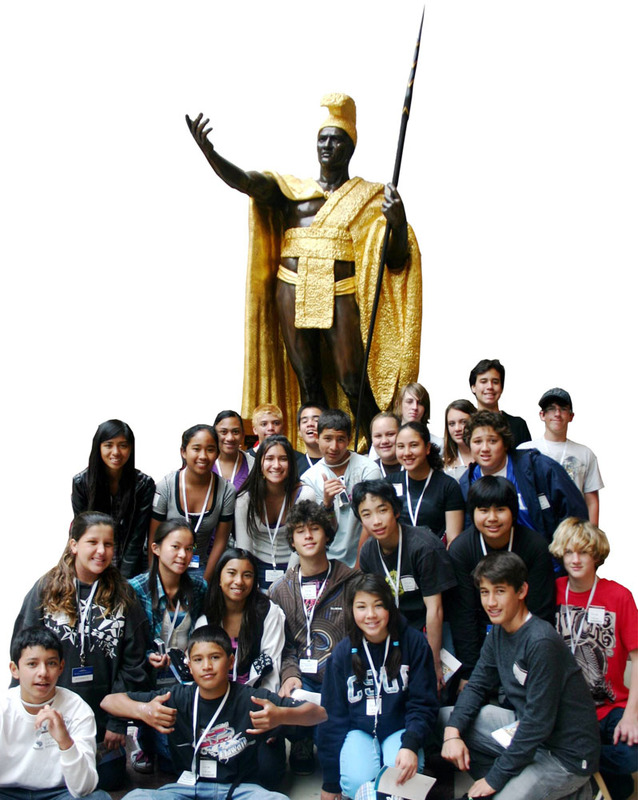 The trip is also intended to introduce students to the possibilities available beyond Hawai’i’s shores. Tickets are available from the students and families, from the annual project’s teacher-leader, Eunice_Lazarus@notes.k12.hi.us or by calling Patti Cook (937-2833) or stopping in at the WMS office.